– CHECK THE MASTERLIST WITH YOUR ROOMWATCHERS/POSTED IN YOUR ROOM ASSIGNMENT. ON THE FIRST DAY OF EXAM. – BRING ONE(1) PRC MAILING ENVELOPE (BUY FROM PRC-COOP STORE) . – COPY AND USE THE APPLICATION NUMBER IN THE MASTERLIST. BE PUNCTUAL, REPORT TO YOUR SCHOOL/BUILDING/ROOM ASSIGNMENT BEFORE 6:30 A.M.
2 ABAIGAR PEDRO JR DIZON SAMAR STATE UNIV. 9 ADRIANO DARYL CORPUZ NORTHWESTERN UNIV. 13 AGOO MARIBEL PAYOYO MMSU-LAOAG COLL OF EDUC. 15 AGUJA MARIO GASCON U.N.E.P. 16 ALA ALLAN JOSEPH LERMA MAPUA INST.OF TECH. 19 ALFEREZ ANGELINA ARCILLA ATENEO DE NAGA UNIV. 23 ALLAPANG AGUSTIN BUGATTI ST.LOUIS UNIV. 3 ANDRADA CECILYNNE RONQUILLO ST.LOUIS UNIV. 4 ANDRES ERWIN NARCIZA P.M.M.A. 5 ANG IMELDA VALLE LAGUNA COLL. B.A. 11 AQUINO ELBERT LACSON REPUBLIC CENTRAL COLL. 12 AQUINO JUANCHO BUESER INT’L ACA. OF MGNT. & ECO. 13 ARAMO JOHN FLORES T.I P.-Q.C. 14 ARCEO JOEL FRANCISCO RAMOS UNIV.OF THE ASSUMP. 22 AUTENCIO WALTOR BOGNOT UNIV.OF THE ASSUMP. 24 AXALAN EMAR CANDAVA WESTERN PHIL COLL. 4 BABALCON TANNY ALOPOOP DIVINE WORD UNIV. 7 BACOLI JARED MARK PINALBA T.I P.-Q.C. 10 BALANIAN SONIA DULNUAN ST.LOUIS UNIV. 11 BALDERAS LITO JAY BIGAYAN T.I P.-Q.C. 15 BALUYUT MARIA CORAZON FAUSTO UNIV.OF THE ASSUMP. 16 BANZON JOSE NELSON MASAKAYAN T.I P.-Q.C. 1 BICO WENNIE BASA GOLDEN GATE COLL. 4 BONDOC MICHAEL EVANGELISTA TARLAC STATE UNIV. 16 CABACUNGAN ROMY REOTUTAR NORTHERN CHRISTIAN COLL. 20 CABRIETO BENIGNO JR DE LA TORRE P.M.A. 22 CADIZ JASPER FRANCISCO BATAAN HEROES MEM.COLL. 23 CALALO ALVIN MAICLE ST.LOUIS UNIV. 3 CAMPOS MICHAEL JOHN VILLAMATER T.I P.-Q.C. 5 CAMPOSAGRADO NELDY MATRIANO C. C. P.
6 CANEDA CARLITO SANTOS T.I P.-Q.C. 11 CAPIRAL KENNETH CHRISTOPER LUMBERIO MAPUA INST.OF TECH. 12 CAPULONG ANNA LIZA LUMBANG T.I P.-Q.C. 15 CARCELLAR RAUL OROT SAMAR STATE UNIV. 17 CARILLO DINA ELAURIA C. C. P.
1 CASTILLEJOS RONALD CESAR VARGAS T.I P.-Q.C. 5 CATAJAN JAYSON YUTUC UNIV.OF THE ASSUMP. 6 CATANGAY JEFFREY CREENCIA MAPUA INST.OF TECH. 14 CIRUELA MA FRANCIA LOPEZ C. C. P.
17 COLES PALMER LUMIBAO TARLAC STATE UNIV. 19 COSMIANO MARILOU CRUIZ T.I P.-Q.C. 24 CUSTODIO NELSON CORNEJO DIVINE WORD UNIV. 8 DE LEON RICO BRIONES C. C. P.
13 DECANO REGINALDO CAPISTRANO LAGUNA COLL. 18 DELA PEÑA RAQUEL MICHELLE ASIS ST.SCHOLASTICA COLL. 20 DELLORO LUDOVICO JR KARINGAL ATENEO DE NAGA UNIV. 7 DULUEÑA KATHREEN ANNE DY ST.LOUIS UNIV. 20 ESTABILLO ROY CAMACAM NORTHEASTERN COLL. 23 FAMA MERLYN PALOMAR CENTRAL PHIL. UNIV. 24 FERMIN ROMEO FALLORIN TARLAC STATE UNIV. 8 FUENTES CRISTINA TAPANG MAPUA INST.OF TECH. 20 GAY-YA FRANCIS ARDEN ARIOLA ST.LOUIS UNIV. 22 GILONGOS CONCEPCION ALCANTARA WESTERN PHILS.UNIV. 8 GUEVARRA SHARON SANTOS PAMPANGA AGRIC.COL. 17 IFURUNG CHRISTOPHER ACEBO NORTHWESTERN UNIV. 21 JACOBE ETHEL NACASE SAMAR STATE UNIV. 3 JIMENEZ LOUIE GOMEZ NICANOR REYES MEM. 7 JOVEN RAMON JR ENGAY SAN PABLO COLL. 10 JULAO REY DIONICIO UNIV.OF THE ASSUMP. 13 LACUBTAN RENATO DAGUPLO CENTRAL MINDANAO UNIV. 19 LAROZA PAUL GABRIEL AVELLANOSA MAPUA INST.OF TECH. 21 LEE CYNTHIA MAGUIZA ST.SCHOLASTICA COLL. 5 LINDAIN LYNDON RABANG NUEVA ECIJA COLL. 6 LISING EDWIN FLORES UNIV.OF THE ASSUMP. 8 LIWAG CEASAR LAZO MAPUA INST.OF TECH. 13 LOPEZ ERICH GIL SANTOS T.I P.-Q.C. 17 MABAO ERICSON BACCOL SAMAR STATE UNIV. 5 MALASMAS RESSILYN RIVERA T. DEL ROSARIO ACAD. 12 MANGILIT FERDINAND CORONEL T.I P.-Q.C. 16 MAPA BENJIE ROSETE C. C. P.
5 MEJORADA GERARD TALAN NEW ERA UNIV. 9 MERCADO CECILIO III MELO UNIV.OF THE ASSUMP. 10 MERCADO EUGENE FORONDA T.I P.-Q.C. 19 NALOS LAURA CONSTANTINO C. C. P.
5 OMEGA JAN MICHAEL CALSADA P.S.B.A.-Q.C. 8 OPIÑA JESSIE CARMONA LAGUNA COLL. B.A. 2 PALLER RICO DELMORO NORTHWEST SAMAR S.U. 3 PANGANIBAN FELIPE JR DAGOHOY GARCIA COLL. OF TECH. 4 PANGILINAN CHRISTINE TANDOC FOREIGN UNIV. 10 PAULE SUSAN VELASCO DON HONORIO VENTURA S.U. 21 QUEJADA JOSE DE ALCA P.COL. HEALTH & SCI. 1 QUIZON RODRIGO NACPIL T.I P.-Q.C. 5 RAMIREZ RICARDO CALMA HOLY ANGEL UNIV. 7 RAMIZARES JUANITO NOMO U.N.E.P. 10 RAQUEL CHARLITO BARAYUGA NORTHWESTERN UNIV. 14 REGENCIA FELIPE MARIA JR TRINIDAD ST.LOUIS UNIV. 19 REYES OSCAR EROJO MAPUA INST.OF TECH. 23 RIÑON EXEQUIEL JR REMOLAR REPUBLIC COLL. 3 RONQUILLO RUEL RODRIGUEZ TARLAC STATE UNIV. 5 ROVILLOS JESSICA MAE TANDOC P.S.B.A.-Q.C. 9 SABADO RONALD RUAR T.I P.-Q.C. 12 SALANGSANG NELSON JAROBEL P.S.B.A.-Q.C. 22 SANTOS ALLAN ACUPICUP C. C. P.
6 SARCENO TOMMY GALAY GARCIA COLL. OF TECH. 8 SARMIENTO LUNINGNING SARAZA ATENEO DE NAGA UNIV. 12 SERGIO ALVIN ISIDORO U.N.E.P. 1 TABOADA GINA CIABO DIVINE WORD UNIV. 2 TAGABENG MARINO MOLINA ST.LOUIS UNIV. 7 TAN RAMON DEGOLLACION SAN PABLO COLL. 9 TANGONAN ALBEMAR RUBIO P.S.B.A.-Q.C. 3 VANES MARILYN BONAOBRA UNIV.OF THE ASSUMP. 4 VARGAS JUVY PERMATO R.MAGSAYSAY MEM. COLL. 6 VENTURA MELBA BONNAO NORTHWESTERN UNIV. 12 VILLANUEVA JENIFFER DUNGO UNIV.OF THE ASSUMP. 13 VILLANUEVA MISHIEL OBANDO NORTHWESTERN UNIV. 19 YALUNG WILLIAM II PINEDA HOLY ANGEL UNIV. 20 YUMUL ARNEL ZAPATA UNIV.OF THE ASSUMP. any news about the 2nd sched of board exam this coming 2012? yes, i took the exam and couldn’t find the right adjective to describe it. they are right, challenging best describes it. not quite the previous real estate appraisers exam conducted by dti. simpler in a way because there were only few problem solving and the computations were not complicated. i think it was designed for lgu assessors and i feel that a lot of assessors would be able to make it. i did not do good on the local tax ordinance as to assessments. i took the appraisers exams yesterday and it was indeed a lot more challenging than expected. 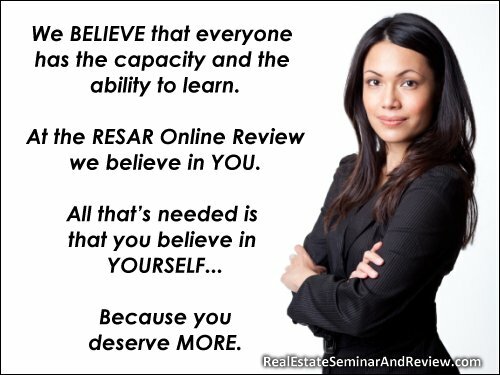 the questions have been well crafted and formulated probably patterned after the NAR USA Appraisers Exams that can be viewed online. i honestly doubt the source of the questions as most of the available review materials does not reflect such type of questions. can they really formulate such questions? part 1 is supposed to be fundamentals where you have to state, identify, name recall, interpret or apply. but no where you can find the fundamentals in the manner of questions given. you have to analyze, interpret before you can name or state define the answer. there were less than 1/3 of the questions that seem to be fundamentals and more than 2/3 of the questions seemingly professional practice. simple definitions of the term “real estate” have been twisted. the word condominium after careful analysis will result to “projects” as the answer. why do they have to include questions made in china or u.s.a. in the current events? they could have asked about the spratly’s, palawan’s underwater cave or the latest real estate developments in the country. in all honesty, i have to commend the good taste and preparedness of the examination questions. the grammar, spelling and sentence construction were alright. but they have forgotten the meaning of fundamentals. fundamentals refer to the basic knowledge and information available and known to all that you can easily identify, name recall or state the answer. it should not delve much on the analysis and interpretation. the questions appeared to be made in U.P. if not USA. they should have also followed the TOS coz the examinees prepared according to the prescribed TOS. there were a lot of application questions in the fundamental part which should have been part of the professional practice. i doubt whether the examiners themselves can answer the questions they have prepared even if they know the answers because it will entail a lot of genre to be able to recall, interpret and analyze these supposed to be fundamental questions. part 2 is okay because in the professional practice you have to analyze, interpret and application of the theories principles, valuations and techniques. though there were several encoding errors and incorrect construction of the questions and problems which can not be solved due to lack of material data. i just hope the examiners can find justice to our plight who have labored a lot of time, effort and money for the review and exams but to come out disgusted. thanks for the space. kudos and more power to your group. [From the Admin] Thank you for taking the time to share your thoughts. More and more people are reading this, and are becoming aware of what can be improved in the Real Estate Appraisers Exam. how was the exam? any news on when the release would be? [From the Admin] Some people have said that the PRC’s Real Estate Appraisers’ Exam, which was held last Sunday, 31 July 2011, was challenging. Based on the RESA Law IRR (RA 9646), the PRC RE Appraisers’ Exam Results should be released within ten (10) days. We’re hoping it will be available by Friday, 05 August 2011.